← The Old Fourth Street Filling Station is not to be missed! Whew…what a last couple days it’s been. After 2 weeks away from home and my hubby, we’re finally safely back together as a family again! Love that!! What I didn’t love was getting a phone call from hubby 30 minutes before we arrived home (after over 12 hours on the road!) telling me that food in our freezer were starting to thaw. Yeah…not good! I called bright and early yesterday morning for someone to come out and check the fridge, and 20 minutes later (and $200 poorer), my fridge was fixed. Yay!! I can’t tell you how relieved I am to not be researching refrigerators right now and still living like Laura Ingalls during the pioneer times. Yep…that’s how it felt. You kinda start to realize that a refrigerator really is a key component to our daily lives, and one of the first things you stock up when you get back from a trip. It was so wierd not to buy groceries Sunday and get a meal plan for the week. I felt disoriented….can you relate? So things are finally getting back to normal around here….well other than the fact that my oldest daughter isn’t home and won’t be until Saturday! That’s definitely not normal…at age 12 this is her first trip away from home! She’s on a mission trip with our church and won’t be back until Saturday afternoon. Which is actually very strange…not normal at all….we won’t even get to talk to her until then. So not only is she gone…she’s also incommunicado as the Jimmy Buffet song goes. I’m doing MUCH better than I thought I’d do since I know she’s in great hands and she arrived safely (the bus ride out was one of my main concerns). Plus she was super excited to go…and though I know she’s working hard, I also know she’s having fun. It helps me to remember what it was like when I was her age….independence, though a bit scary, was also very exciting….so I’m excited for her!! It will be a very rewarding experience, and I know she’ll learn and grow and mature. It’s also new for the family….my 8 year old is super excited to be “the oldest” for the week. With the dynamics around here shifting a bit, she’s experiencing more responsibility….so we’ll all learn and grown and mature. Time for these doughnut muffins…not to be confused with those light and airy Krispy Kreme yeast doughnuts we devoured on vacation. These look like a muffin, but the taste and texture are more like a cake doughnut. This recipe is one of many great “from scratch” recipes I found on the Hillbilly Housewife website back when my 8 year old was still a baby. It’s such a great treat to make for your kids. This past May right before my low carb experiment, I realized that my 3 year old hadn’t experienced them yet, so I whipped up a double batch. They’re quick, easy and delicious! And also fun to make with your kids because they love dipping the muffin into melted butter and then the cinnamon sugar topping. Mmmm….makes me want to make another batch right now. 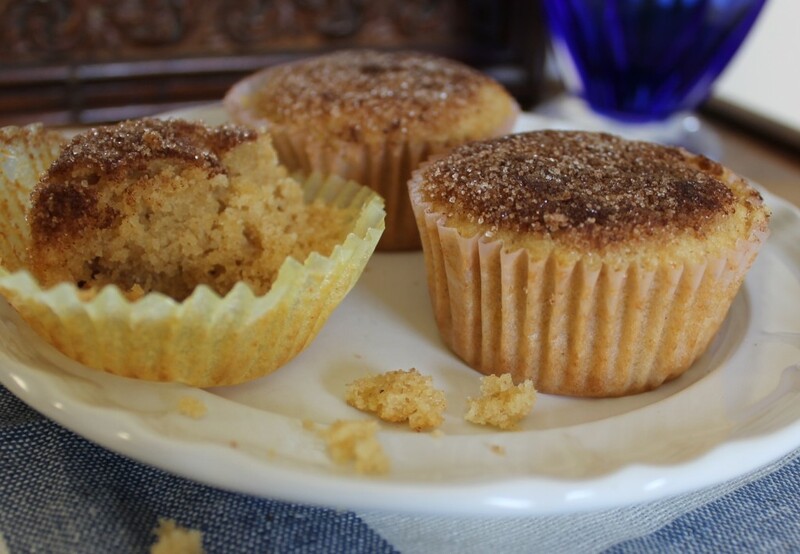 These delicous muffins are a treat my kids love making with me...and eating! In mixing bowl whisk till smooth coconut oil, sugar, and egg. Add in the flour, baking powder, salt, nutmeg and milk. Combine until smooth. 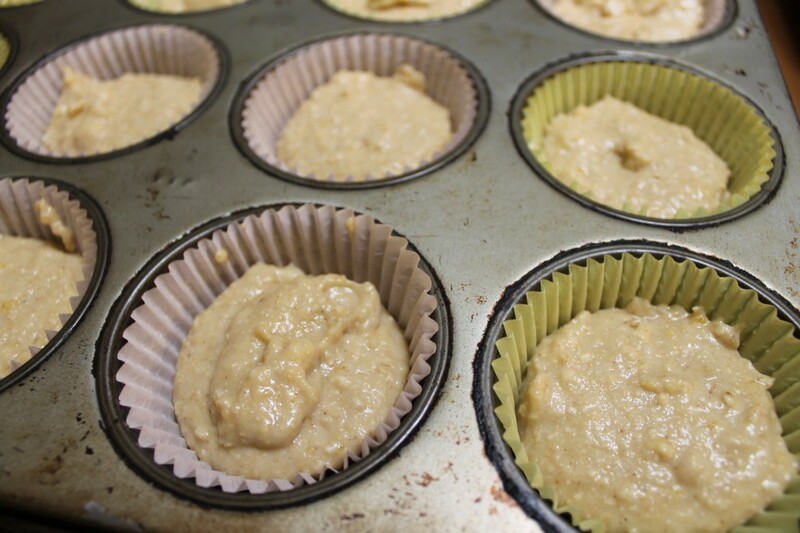 Fill muffin cups ⅔ full (butter muffin cups or use liners). Bake for 25 minutes or until done. When cooled enough to touch, dip each muffin into melted butter and then into cinammon/sugar mixture. I double this recipe every time in order to have 24 muffins...otherwise, it's just a tease! This recipe linked up with Works for Me Wednesday, Real Food Wednesday, Let’s Do Brunch, What’s on the Menu Wednesday, What’s Cooking Wednesday, What’s on Your Plate, What I ate Wednesday, Women Living Well Wednesdays, Waltz on By Wednesday, The Wednesday Window, Show and Tell Wednesday, Simple Lives Thursday, It’s a Keeper Thursday, Cooking Thursday, Recipe Swap, Pennywise Platter, Delightfully Inspiring, Full Plate Thursday, Frugal Food Thursday, Fresh Food Friday, Friday Favorites, Finer Things Friday, Fight Back Friday, Food Trip Friday, Friday Potluck, Monday Mania, Mouthwatering Monday, Mangia Monday, Just Another Meatless Monday, Homemaker Monday, Melt in Your Mouth Monday, My Meatless Mondays, Hearth and Soul Hop, Tasty Tuesday, Delectable Tuesday, Tasty Tuesdays & Totally Tasty Tuesdays. “Facebook recommends” and “shares” are always appreciated! Thanks!! These sound wonderful! I would love it if you would link them to Let’s Do Brunch tomorrow. re: young people – It really is hard letting go, but I found the more independence we gave our son, the more he developed and grew as a person. (He is now a very mature and grounded 18 year old) It is exactly as you say, you need to balance ‘letting go’ – and encouraging young people to stretch their wings – with their need for guidance and protection. The reward in this is that I can now travel with my husband whenever I like, knowing that our home is in absolutely safe hands (and I know this from repeated good experiences). Also our son confidently travels the world on his own too. Now, as he gets ready to head off to university next year, ‘letting go’ is taking on a whole new dimension. One thing is for sure, he’s not the only one growing during this time of change – I’m growing too! Ooo,you had me at doughnut. 🙂 I have a similar recipe I have been itching to make- You just inspired me! And, before you know it… she will be home. Doughnut + muffin? Oh, someone strap me down before I devour the entire pan. And oh, Krispy Kreme. Sweet Krispy Kreme. I might love them more than I love my husband. I just might. Wow your doughnuts just by looking makes me feel like I want to eat one now. Yummylicious! My 14 year old is apart from us for over 3 weeks for the first time ever. She is just starting to spread her wings socially and I don’t think she is missing us much at all because she is doing something she loves (a drama course) with friends. I’ve watched friends with children who are a bit older than mine go through every stage and this has been helpful. I try to enjoy each moment, it’s great to see glimpses of the adult they will become. You start to let go by degrees. Can’t wait to see her when I pick her up from the airport on Monday. The doughnut muffins look fab. I’m not sure doughnut muffins and denial should be in a post together. 🙂 The recipe looks amazing. 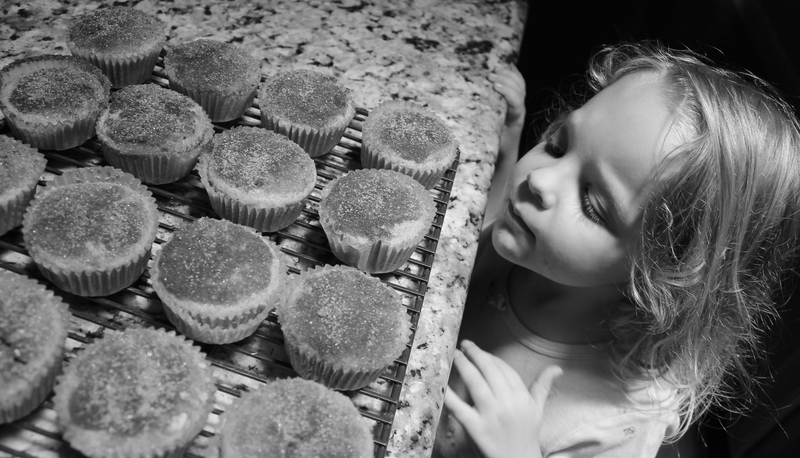 Muffins are one of the easiest foods to hide healthy stuff in, and my kids love them. Can’t wait to make these! Yum! I’d love for you to share this with my recently new link up, Healthy 2day Wednesdays! It looks like you have made-over the recipe to be a lot healthier! Have you thought about using bulgur/sprouted flour? It’s more nutritious but also tastes sweeter which could le you use less sweetener. Stopped over from Fight Back Friday. They sound great…I love doughnut muffins! I am terrible at making donuts and these are the next best thing! Thanks for sharing such a delicious recipe. Have a good weekend. First of all, doughnut muffins have been on my list to make for months! My daughter, 12 years old, has had a recipe that she has wanted to try and I don’t have a good reason why we haven’t done it. I’m inspired! She is actually going away next weekend to a dance intensive class, and she will be staying with her dance teacher and flying without me. Ugh! Yep, it’s tough. She also went to 6th grade camp last year (I wrote about it here: http://livlifetoo.blogspot.com/2010/12/whole-grain-pancakes-with-buttermilk.html) and it was SO, so, so, difficult. I’m proud of them though for reaching out and living life. It’s what makes the world work, but it’s hard on mom. Glad life is semi-back to normal! I’m sure your 12 year old will be back in no time with lots of stories to tell! Your Doughnut Muffins look so good we would just love this recipe. I read and re read your post and it sure did bring some memories up for me. I really think I could right a whole book on letting go of adult children or them letting go of you. I have learned to let them go with love and have no expectations. It is a very hard journey and sometimes very painful and sometimes filled with joy. Thank you so much for sharing with Full Plate Thursday and hope to see you again real soon. Hope you are having a great week! What a GREAT recipe! I’d like to invite you over to Lady Behind The Curtain for my link party “Cast Party Wednesday” to share this and more of your recipes. Doughnut muffins looks delicious. I have a 2 year old, so I don’t know much about letting go. Now it is more like protecting every moment and on each things. Yes children are be with us for some time, then they have their own independence and leave the home like birds. My mother used to say that. Thanks for sharing with hearth and soul blog hop. These look so yummy! Thanks for linking up for Friday Favorites! I’m featuring you this week. Come by and grab my featured button if you’d like one. These looks fantastic! I love the healthy changes you made. Thanks for sharing your recipe with the Hearth and Soul Hop. Doughnut + muffin? These looks fantastic! Doughnut muffins looks delicious. Glad life is semi-back to normal! I'm so happy you've dropped by. Creative Kitchen is a food blog, a place to inspire myself & hopefully others. Creating in the kitchen is a passion of mine! I love cooking meals from scratch for my hubby & 3 girls using wholesome, REAL foods. I hope you'll find that cooking from scratch can be easy & fun! Beach hiking…..and finding my way back to me! Whole30, the holidays & a brand new year! Random blogging thoughts & what direction to take? Back to school……..and new territory for us! Pumpkin spice belgian waffles ~ a fall favorite! Bite-sized ice cream oatmeal sandwiches & Walkers Shortbread giveaway! Want more energy? To lose weight? 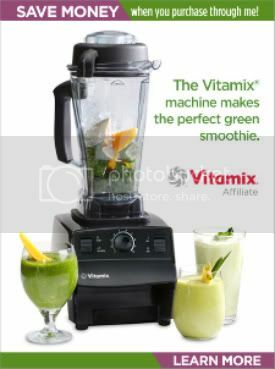 Invest in a Vita-Mix!